Gym shoes are traditional sports footwear for school physical training as well as gymnastics. 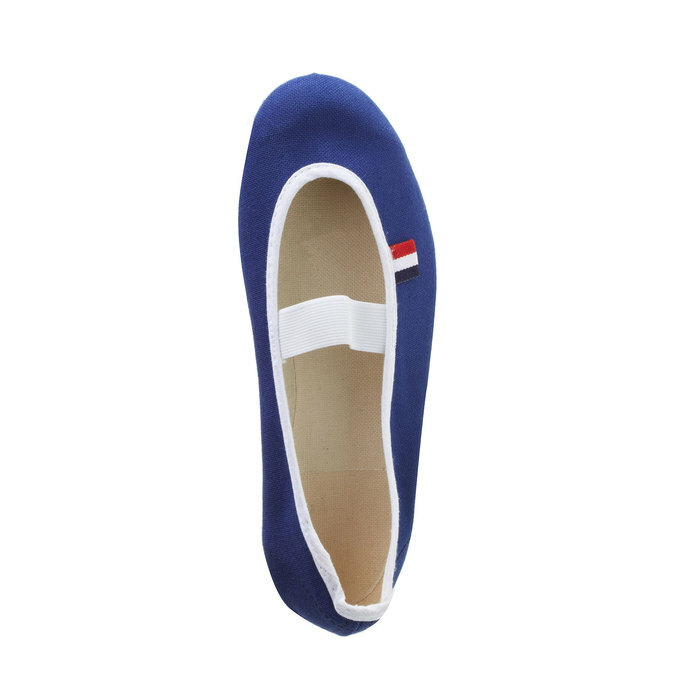 The shoes come with a white rubber sole and an elastic strap over the instep that keeps the foot in the shoe. The dark blue colour of the textile upper is very practical.